In an attempt to be healthier, John and I have been practicing Fish Sunday instead of Pizza Sunday. Despite my love of homemade pizza I was actually really excited when I saw this recipe on America’s Test Kitchen. It seemed easy and tasty – and it was! 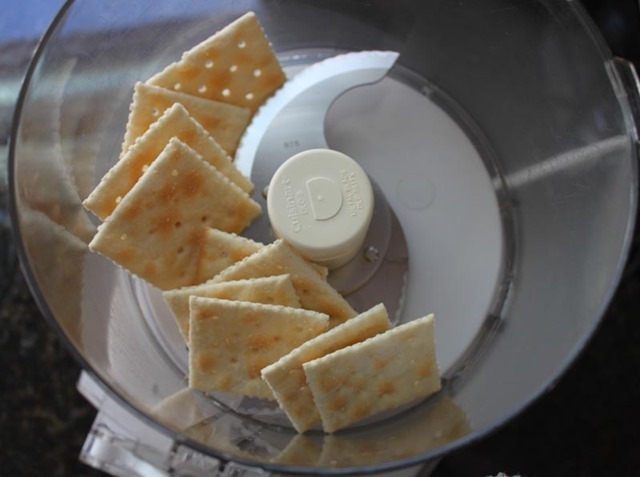 In a food processor, pulse the saltines until they are crumbs. 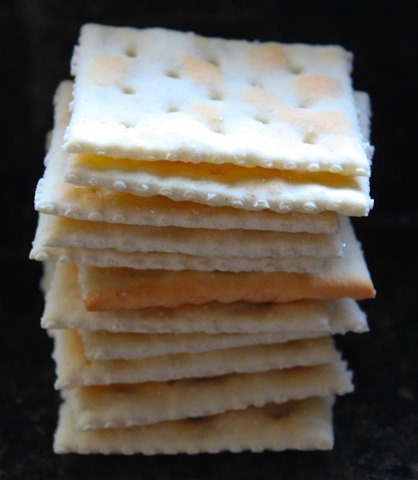 If you don’t have saltines you can swap these out for any other kind of breadcrumb or panko. 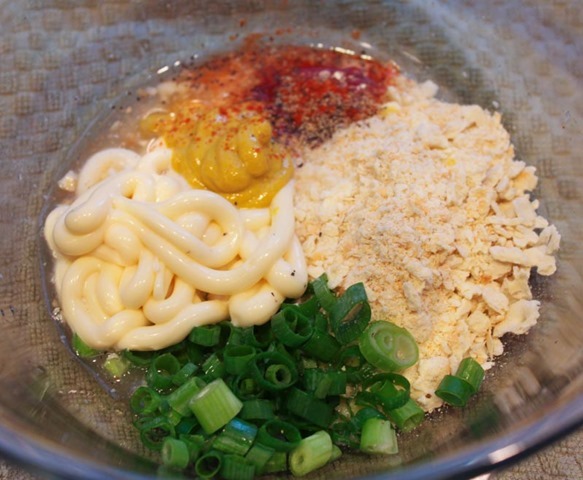 In a big bowl combine the saltines, scallions, mayo, lemon juice, mustard, salt, pepper, and cayenne pepper. Set aside. Trim the salmon of any remaining skin or fat, and remove any pin bones. Cube the salmon into smaller, manageable pieces. 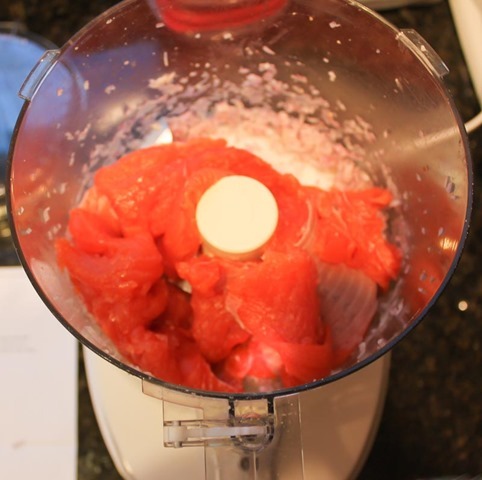 Pulse the salmon and the shallot in the food processor until it resembles ground meat. 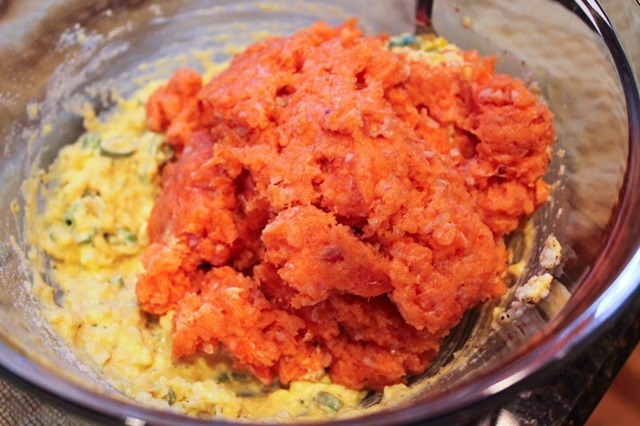 Add the ground fish to the mixture in the bowl and combine thoroughly. Divide the mixture into four equal portions and form into patties with your hands. In a separate bowl pour the panko breadcrumbs. 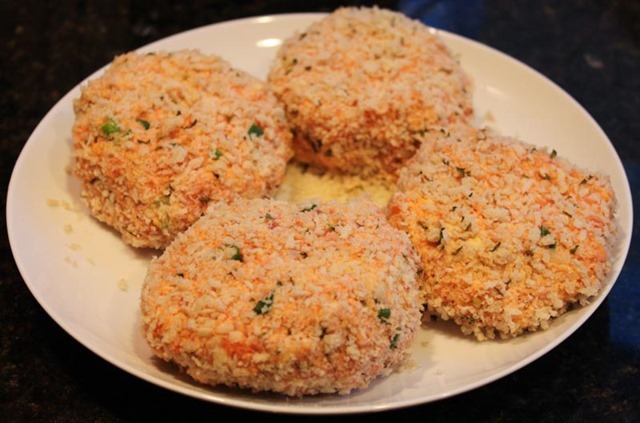 One at a time place each salmon cake into the panko and fully coat the exterior. 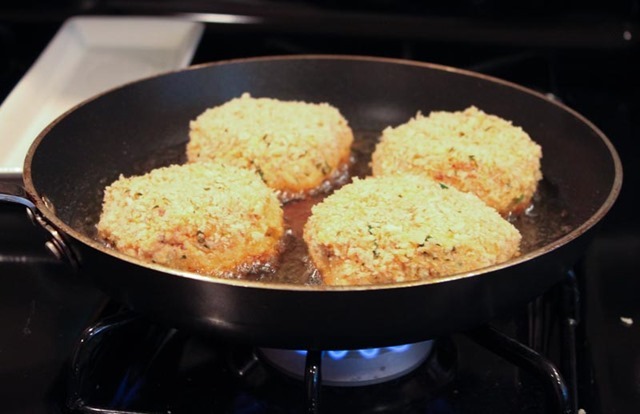 Heat the vegetable oil in a big skillet over medium-high heat until shimmering. 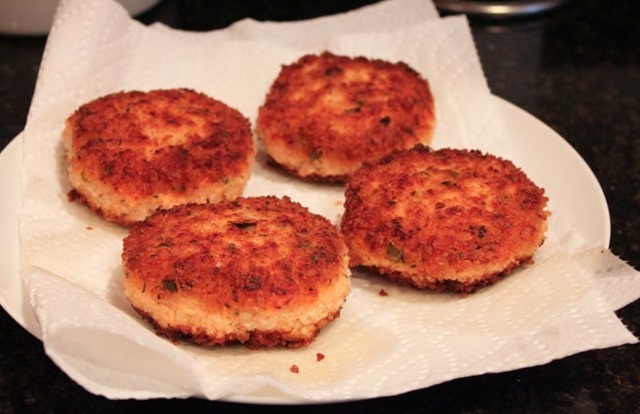 Place each salmon cake in the skillet and cook without moving until golden brown (2-3 minutes). Carefully flip each cake and cook until the second side is also golden brown (another 2-3 minutes). When they are done, transfer the cakes to a paper towel lined plate to cool for one minute. 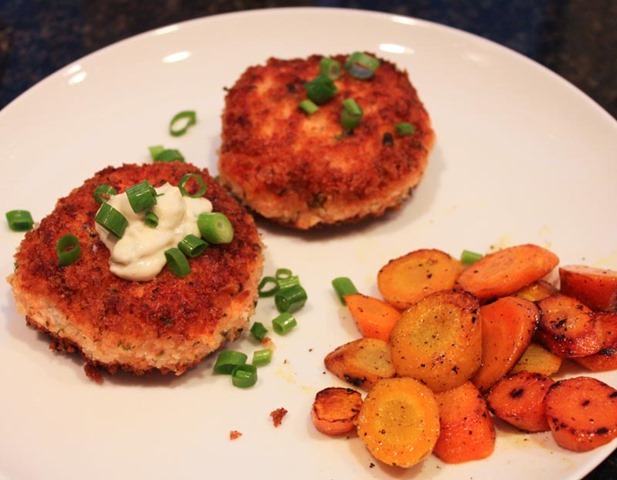 These salmon cakes were seriously good. Restaurant quality even, according to John. They were light, crispy, and full of flavor. They also could not have been easier to make. This will definitely be a repeat recipe on Fish Sundays for us!